Becker offers nationally recognized degrees to prepare graduates for the challenges and entrepreneurial opportunities of the 21st century. • Accreditation Commission for Education in Nursing, Inc.
• Libraries: 2 (one on each campus) with 24/7 access to electronic educational and research resources; the libraries are a member of Worcester Area Cooperating Libraries. • Financial aid: 95% of Becker College students received financial aid in the form of grants, scholarships, student loans, and/or work-study programs. Member of Higher Education Consortium of Central Massachusetts; 12 Worcester-area colleges and universities provide cross-institutional access. About 25% of Becker College students participate in athletics. The College’s varsity teams qualify for conference post-season tournaments every year. More than one-third of student-athletes are annually recognized for achieving a GPA of 3.0 or higher. No matter what level of athletics you prefer, Becker offers plenty of opportunities. Becker College traces its history to 1784, with a founding charter signed by John Hancock and Samuel Adams. Nationally recognized for five consecutive years by The Princeton Review as one of the nation’s best institutions for undergraduate education, the College is amidst a dramatic transformation, with its sights set on preparing graduates for the workplace of the future. This means cultivating students to be adaptive learners with Agile Mindsets who will have the ability to leverage the uniquely human skills of empathy, divergent thinking, an entrepreneurial outlook, and social and emotional intelligence in order to adapt and thrive in a world that is increasingly volatile, uncertain, complex, and ambiguous. The Agile Mindset is the academic foundation that equips students to navigate change and create new value in the hyperconnected, automated world of the 21st century. 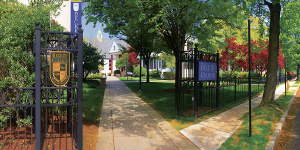 Becker College is a private, independent, coeducational institution with bachelor’s, graduate, and associate degrees. 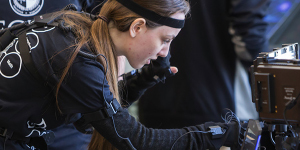 The College offers nationally recognized programs in Animal Studies, Game Design (ranked fourth in the world), and Nursing and Health Sciences, as well as programs in Business, Criminal Justice and Legal Studies, Education, the Liberal Arts, and Psychology. Fifty-four percent of students are enrolled in STEM-based programs. In 2016, Becker College’s pass rates for the National Council Licensure Examination (NCLEX) was ranked among the top undergraduate Nursing programs in Massachusetts—consistently exceeding state and national averages. 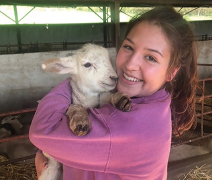 Becker’s School of Animal Studies and Natural Sciences is #1 in New England and #2 in the United States to award undergraduate Animal Studies degrees. Becker is one of 10 colleges in New England to offer AVMA-accredited undergraduate programs in Veterinary Technology. Students gain experience at an on-campus animal clinic as well as more than 350 available externship sites. Becker also offers a first-in-the-nation BA in Global Citizenship and master’s degrees in Mental Health Counseling and Interactive Media. Becker College prepares its students for the world through a variety of academic programs and student leadership opportunities. Its postgraduate placement rate for employment, further study, or volunteer service programs averages 89%. Financial aid preference is given to students who complete the application process by March 15 for the upcoming academic year. For more information on financial aid, go to becker.edu/financialaid. • Call the Office of Admissions at 877-523-2537. • Email the Office of Admissions at admissions@becker.edu. Directions, hotel accommodations, and maps of local attractions are available for visitors who are not familiar with the area. Almost 2,000 students from across the nation and around the world live and learn on Becker’s two distinctively New England campuses located six miles apart in the heart of Massachusetts. Shuttles provide students transportation between campuses. Each campus has its own residence halls, classrooms, labs, dining hall, fitness center, library, and bookstore. Both campuses offer all-female, all-male, co-ed, over-21, and all-freshman living spaces. Students in the equine programs are involved in the daily maintenance and care of horses at the 40-acre equestrian center located on a beautiful site in nearby Paxton. The Becker College Lenfest Animal Health Center houses the College’s veterinary clinic, which includes teaching facilities for grooming, dog obedience, and laboratories for Animal Care and Veterinary Technology students. Worcester campus: Situated in the Elm Park neighborhood of Worcester—New England’s second-largest urban center, with a population of approximately 180,000—its quiet, tree-lined streets and Victorian-style homes make for a quaint yet urban residential experience. The Worcester campus is only a short walk to the downtown entertainment and business district. Leicester campus: Situated in a quintessential New England country town and adjacent to the historical village green, the Leicester campus provides a rural setting for Becker’s Division III athletic teams and the Animal Studies students. Becker’s students like to think of the College as their “home away from home.” It’s a place where professors know them by name and care that they achieve their best. It’s an easy place to make friends. Becker is a warm, safe, caring, and considerate community where students can relax and be themselves.